If you’ve heard of PlasmaCar, you know this is an awesome toy! If not, it’s time to climb out from under that rock! PlasmaCar is an amazing kid-powered ride on toy that they won’t get enough of! It’s driven by inertia, centrifugal force and friction, which means no batteries, gears, pedals or power cords! Our kids love it! They are normally fighting over whose turn it is, but on the rare occasion, they to ride it together, taking turns on who does the steering. Check out these fun, innovative toys at PlasmaCar.com and if you need to find some more toys for the kiddos on your Christmas shopping list, go to PlaSmartToys.com where you will find toys that will occupy, entertain and educate them! We have a PlasmaCar to giveaway to one lucky Raincity Parent reader!! This contest runs until December 6th, 2015 and is open to residents of Canada (excluding Quebec) and the US. Please enter via the Rafflecopter link below. For another chance to WIN a PlasmaCar, pop on over to British Columbia Mom and enter there too! North Pole BC Festival of Christmas 2014 from Giggle Booth Photos on Vimeo. The North Pole BC is the Fraser Valleys premier family Christmas attraction. The 2015 season will be the second year that Santa Claus and his Elves have transformed the space at the Tradex in Abbotsford BC into a magical Christmas village loaded with interactive displays, hands on activities and live entertainment to keep the entire family entertained. Visits are to be pre-booked on-line to avoid disappointment as time slots do sell out quickly. To book your visit, please click here! Enter to win a family pass to the North Pole BC. Family pass is good for up to 5 people. Valid from December 5th to 23rd for any available time slot. Visit must be pre-booked and is subject to availability. Does not include attractions outside of the North Pole, such as the midway and dining hall. Parking is not included, parking is paid to the Tradex. Fee is $6 of which $2 is donated to the Abbotsford Food Bank. Pass does not include toy workshop or Santa photos. This giveaway is open to residents of the Greater Vancouver and Fraser Valley areas, and ends December 4th, 2015. Please enter via the Rafflecopter link below. When I was a kid, we didn’t have baked goods that often. Clearly we were missing out, because now as a parent, I LOVE to bake! I was chatting with my Mum the other day and she told me that she had made a Wacky Cake. I remember eating this when I was a kid and it was soooooo good! Especially when you kept it in the fridge. The icing stiffened up like butter and was amazing when you took a bite! Wacky Cake, Crazy Cake or Depression Cake is a type of cake that was commonly made during the Great Depression. The ingredients include little or no milk, sugar, butter or eggs, because the ingredients were then either expensive or hard to obtain. It’s super moist and über yummy! Mix first 5 dry ingredients in a large bowl. Make 3 depressions in dry ingredients. Pour vinegar in one depression, vanilla in the other and the vegetable oil in third larger depression. Pour water over all. Mix well until smooth. Bake on middle rack of oven for 35 minutes. Oven baking times will vary, so check with toothpick to make sure it comes out clean. Cool. Beat butter & icing sugar together until light & creamy. Add milk slowly & keep beating. Add boiling water (must be boiling) little by little beating all the time. Icing goes watery, keep beating for 5 minutes to thicken. Once the cake has cooled, top with the icing and place in the fridge. When the icing is firm, slice and enjoy! Hitting up the chain toy stores armed with your kid’s massive list of all the toys that they “need” for Christmas, complete with detailed drawings. I’m not really a fan of jumping aboard the current toy trends, so I tend to visit the shops that are unique and locally owned. Kaboodles Toy Store is an über awesome place to get exactly what the kiddos will love! Playmobil, Lego, Minions, board games, puzzles, wooden toys and even fun stuff for grown-ups. From now until Christmas, Kaboodles Toy Store is running their annual toy drive in support of the Lower Mainland Christmas Bureau, who supports families who can’t afford gifts for their children’s. You can participate in the toy drive by bringing in any unwrapped toy, or you can purchase some from any of the Kaboodles Toy Store locations, and receive a 10% discount when you do! All gifts collected will be delivered to the Lower Mainland Christmas Bureau who will pass them on to families in need. 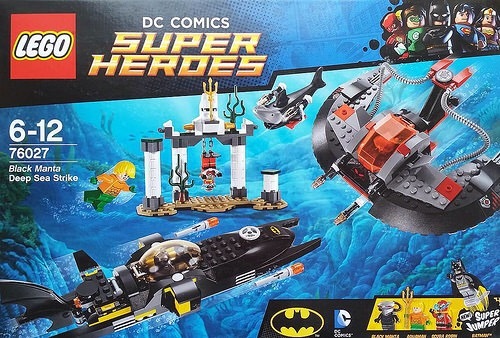 In the spirit of giving…Kaboodles Toy Stores have given us a LEGO® DC Comics Super Heroes Black Manta Deep Sea Strike play set to give away to one lucky Raincity Parent reader! Contest open to Canadian residents only (excluding Quebec), ending December 6th, 2015. Enter via the Rafflecopter link below. I love dessert, but don’t normally have the room in my belly after dinner and I’m trying to stay away from the bowl of Halloween candy staring at me! A few weeks ago, I bought a grande bag of pears in hopes that the kiddos would enjoy the change from apples…but they have started looking a little sad, so I needed to use them up. Serve this up solo or add a dollop of whipped cream or scoop of ice cream. Santa’s elves are missing and he needs your help to find them! Take a trip over Canada and up to the North Pole in search of Santa’s right-hand men and ladies with FlyOver Canada! You may even be delighted by some yummy smells as you fly over the Gingerbread Factory! • Santa Claus himself will be on site to greet guests and hear their Christmas wish list, December 12, 13, 19, and 21 – 24. • Live musical performances by community, school, and group choirs will take place between 12pm and 3pm throughout the month of December. • Delicious, holiday snacks and refreshments will be on sale, including Swiss-style nuts, Slavic Rolls, cotton candy, caramel apples, hot chocolate, and more! Entrance times are every 15–20 minutes and the ride lasts around 20-25 minutes. Children must be 102cm (42″) to ride and accompanied by an adult or guardian over the age of 14. To purchase your tickets to FlyOver Canada Christmas, click on this link! FlyOver Canada ticket holders will get the chance to enjoy the Vancouver Christmas Market for 50% off the regular General Admission price between November 22nd and December 24th. Simply show your 2015 Christmas at FlyOver Canada ticket at the Vancouver Christmas Market entrance in order to receive the discount. Valid for purchase at the market only.